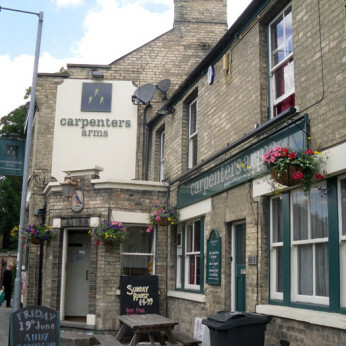 The Carpenters Arms provides a contemporary yet relaxed décor with a genuinely warm, traditional pub atmosphere with full á la carte menu and bar snacks. With an exceptional, imaginative food menu that has been awarded an AA Rosette, the local and guest Ales, local wine supply together with a wood fired pizza oven, friendly staff and delightful outdoor space for al fresco dining - The Carpenters Arms opens for breakfast, lunch, takeaway and evening dining. Chesterfields, candlelight, piano and dining indoors for 50 people, means The Carpenters Arms effectively appeals to both drinkers and diners. Children and dogs are welcome to be accompanied by guardians/owners and board games are available.